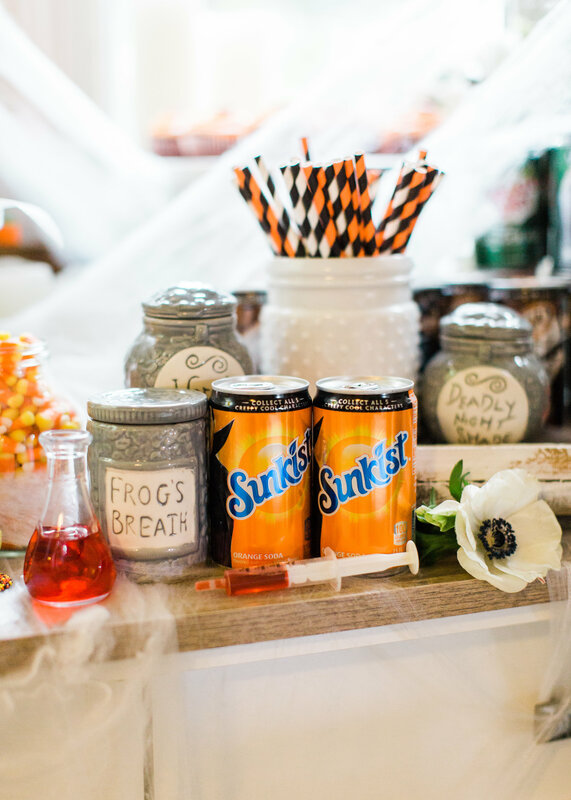 Eat, Sip, and Be Scary Halloween Party Station | Glitter, Inc. This post has been sponsored by Keurig Dr Pepper. All thoughts and opinions are my own. 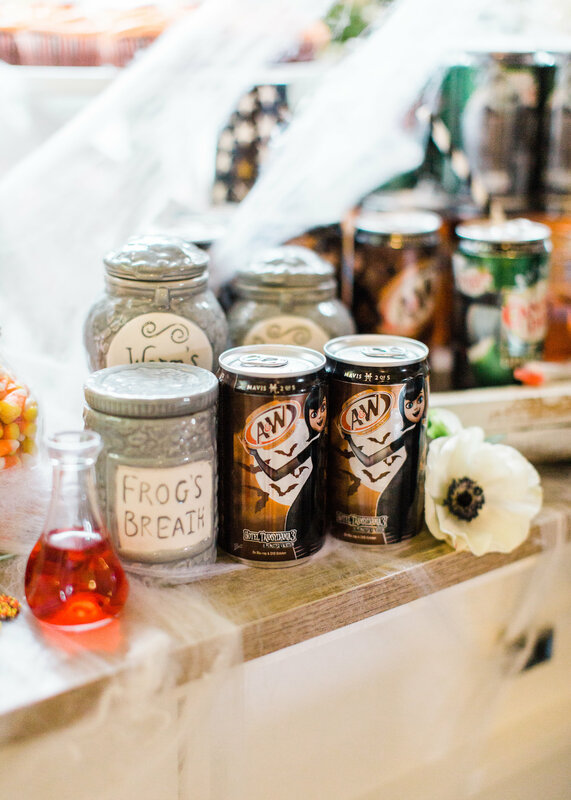 We’re showing you how to create your own spooky “Eat, Sip, and Be Scary” Halloween Party Station for your next haunted bash! It’s become a bit of a tradition these last few years to host a little Halloween party for our friends and neighbors here in North Carolina. 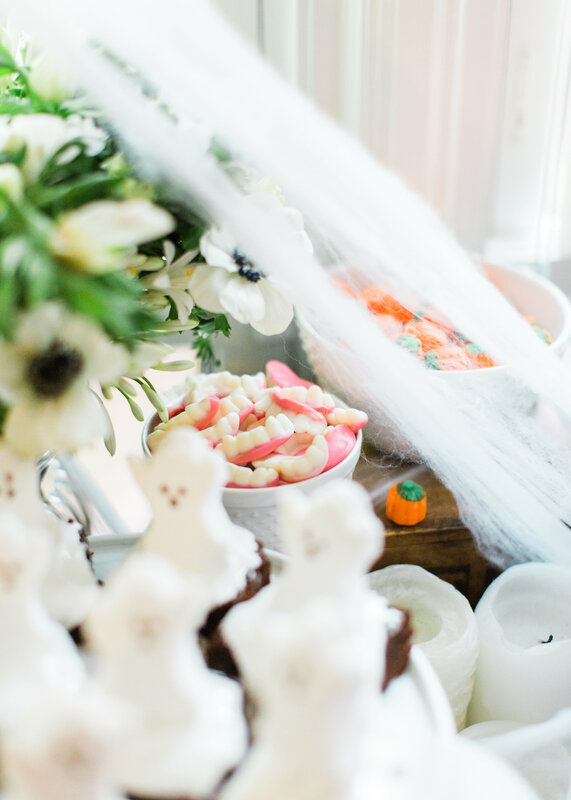 Truth is, I’ve always totally loved Halloween, and having kids just gives me excuse to roll out all of the festive fun in a big way. And I go all out: pumpkins, ghosts, skulls and spiders, oh my! Because we spend a good part of the early evening on Halloween night trick-or-treating, I like having something set up in our house where friends can grab a drink or snack once we’re all in the house—either getting ready to head out for trick-or-treating or just getting back and wanting to unwind with a few refreshments. 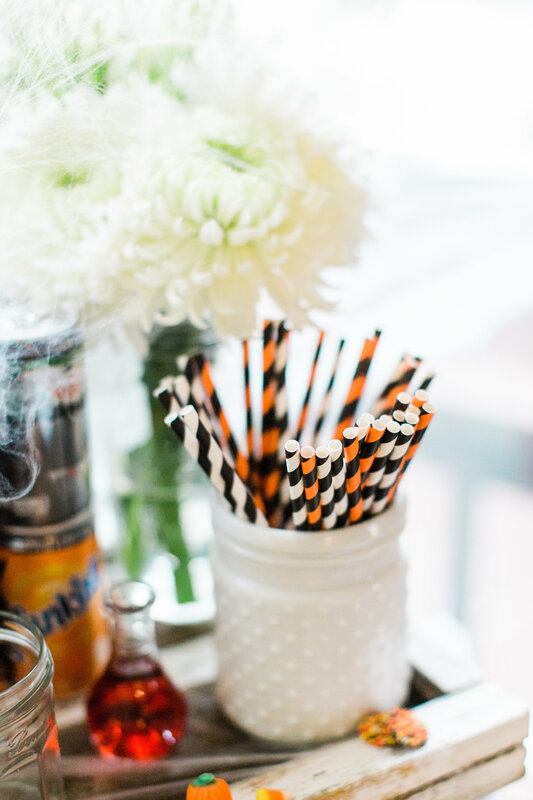 It’s a fun way to sip, snack, mingle, and use our house as trick-or-treating home base. 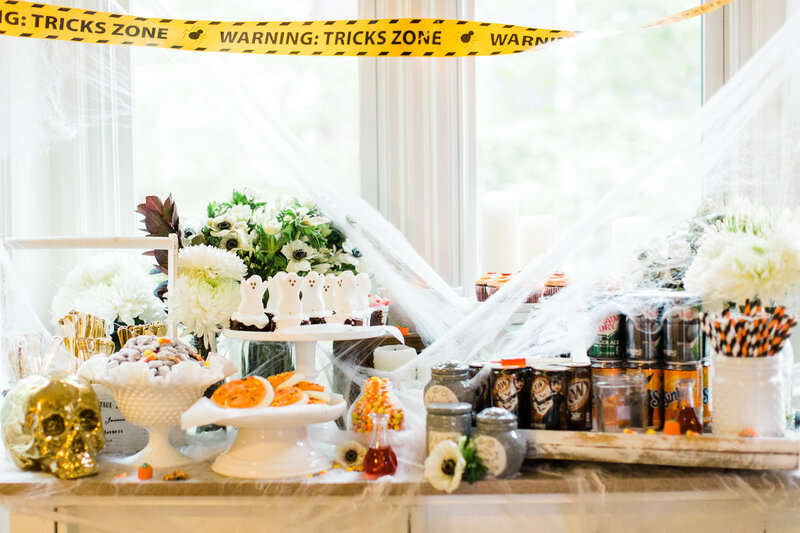 Basically, to set up your own fun and decidedly not-so-spooky “Eat, Sip, and Be Scary Halloween Party Station” that’s perfect for grownups and kids alike, pick a table, console, kitchen counter, or bar area that gives you plenty of room to set out all of your drinks and snacks for guests. 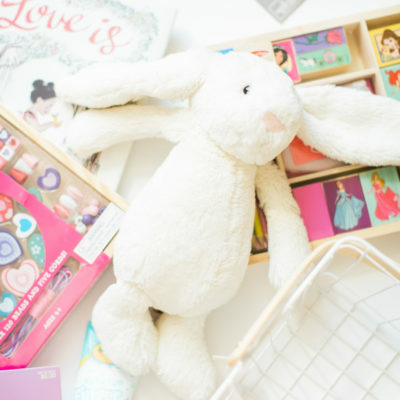 Do a bit of decorating first to create the mood. 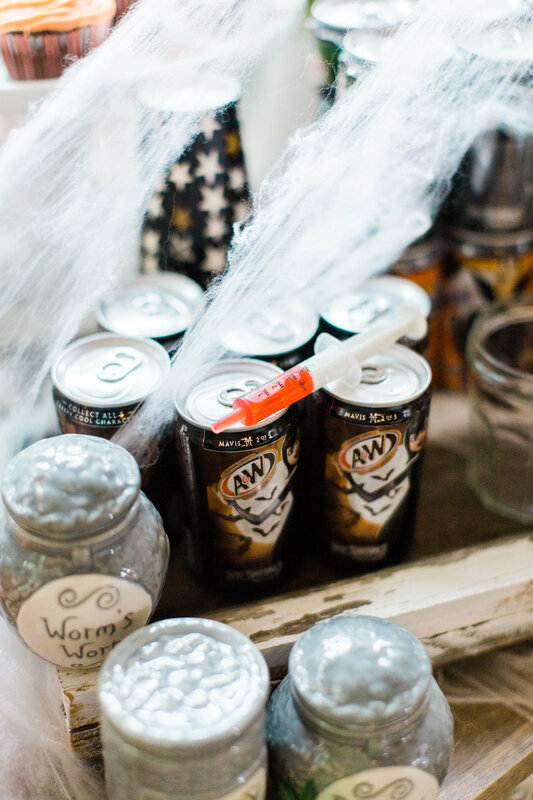 Start by picking up some super fun Hotel Transylvania 3 themed A&W® Root Beer, 7UP®, Canada Dry® Ginger Ale, and Sunkist® Soda mini-cans at Target for a scaretastic addition to your food and drink table. I also like to create a simple backdrop using an inexpensive bag of spider web. Target has these great bags of spooky spider web for less than a dollar. I use that to cover the table and some of my backdrop. Also, I found this scary crime scene tape (in orange, though they had other patterns and colors) at Target as well. 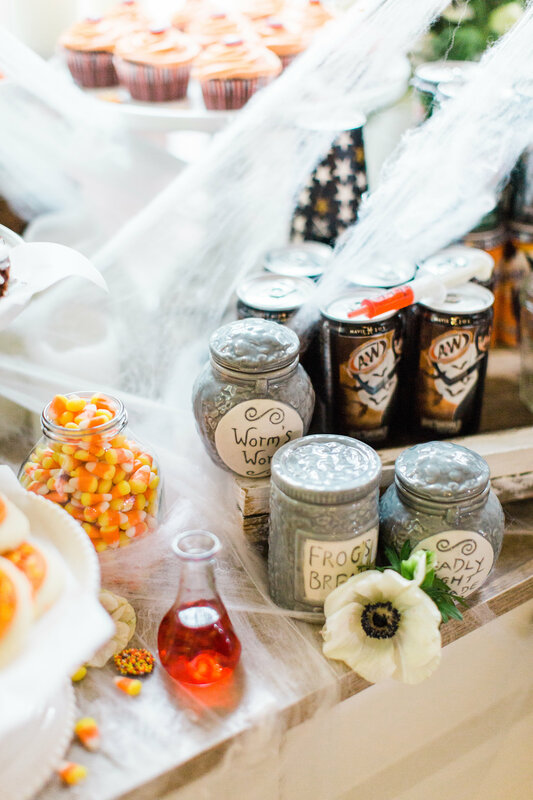 I like to sprinkle in any frighteningly fun Halloween props I have, like pumpkin buckets and bowls, spiders, a gold skull, these adorable Hocus Pocus jars of witch potions, etc. Nestle in jars of flowers or greenery to fill empty space and add a nice natural element to your station. To fit in with our Halloween décor, I went with paper white chrysanthemums, white starlite agapanthus flowers, white anemones with black centers, and cotinus smoke bush greenery (that’s actually kind of black in color). Use cake stands, serving trays, and boxes of different heights to create a bit of depth and dimension to the station. 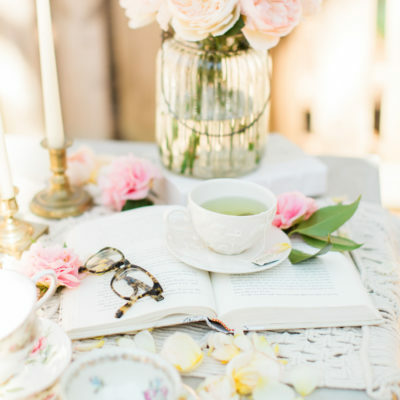 Whether you cook a full spread or set out your favorite store-bought snacks and drinks, using cake stands and trays of differing heights is sure to elevate the look every time. 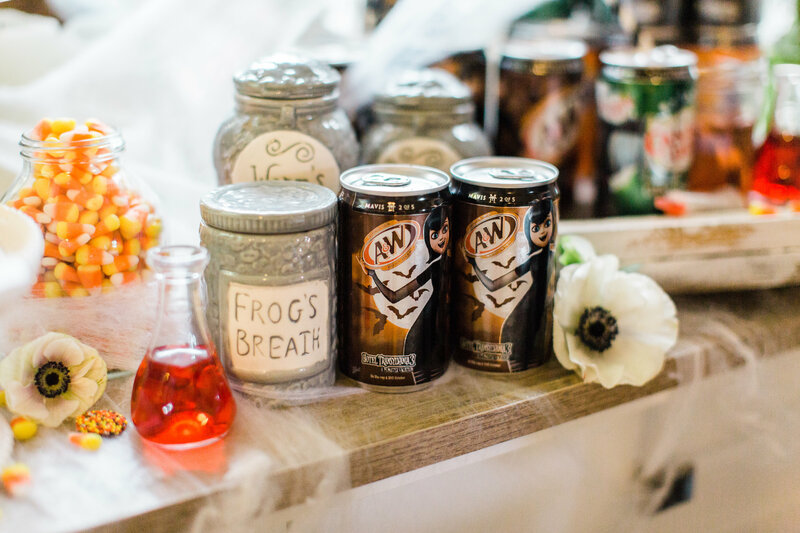 I love these Hotel Transylvania 3 themed A&W® Root Beer, Canada Dry® Ginger Ale, and Sunkist® Soda mini cans because they’re the perfect amount of soda for a drink, and the limited edition Hotel Transylvania 3 seasonal packaging fits right into our our festive Halloween decor. 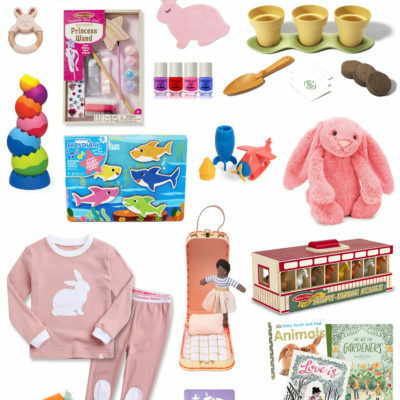 I snagged everything I would need for our Eat, Sips, and Be Scary Halloween Party Station at Target; where I buy everything … always … because I’m obsessed. Save on A&W, 7UP, Canada Dry Ginger Ale, and Sunkist soda now with Cartwheel in the Target app. I set out cute cups, printed straws, ice, and I filled a kids medicine syringe with cherry grenadine (i.e., “blood”) in case anyone wants to add a shot of cherry to their spooky drink. 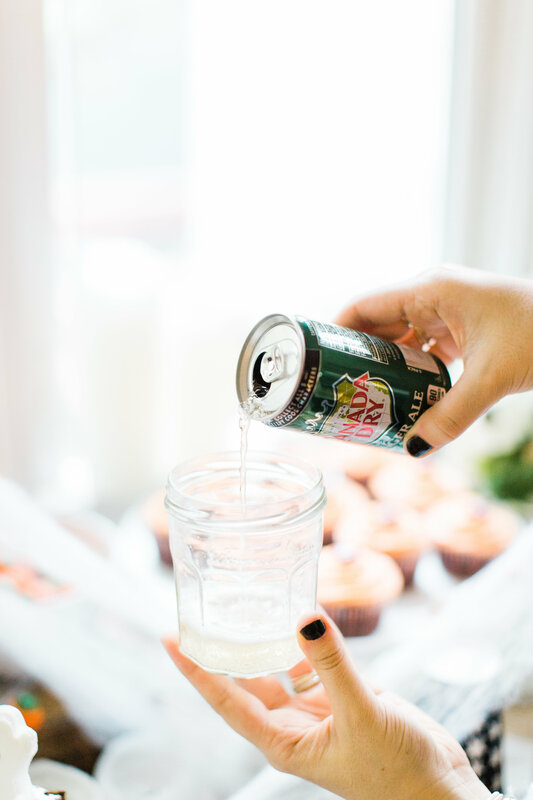 Fun fact: Canada Dry and cherry grenadine is a winning combination. 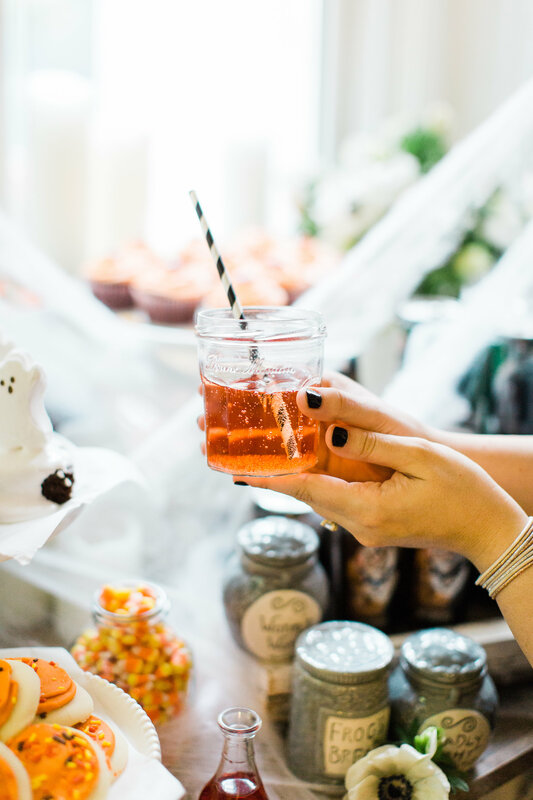 Wow your guests with a Halloween spin on a classic Shirley Temple at your next haunted bash! Pour Canada Dry Ginger Ale into a glass. Add a splash of cherry grenadine. 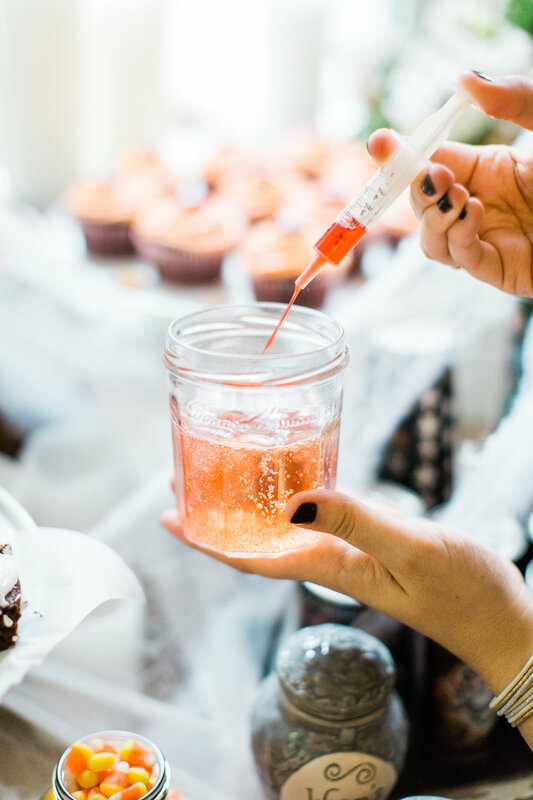 (On Halloween, serve your grenadine with a plastic syringe for added "spook" factor. Garnish with a maraschino cherry. Enjoy! 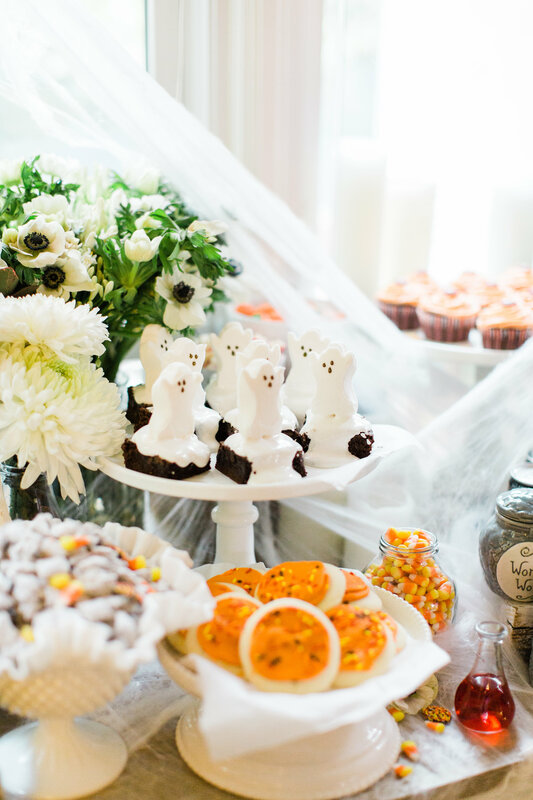 As for the sweets, I went a little crazy with the desserts for this Eat, Sips, and Be Scary Halloween Party Station. 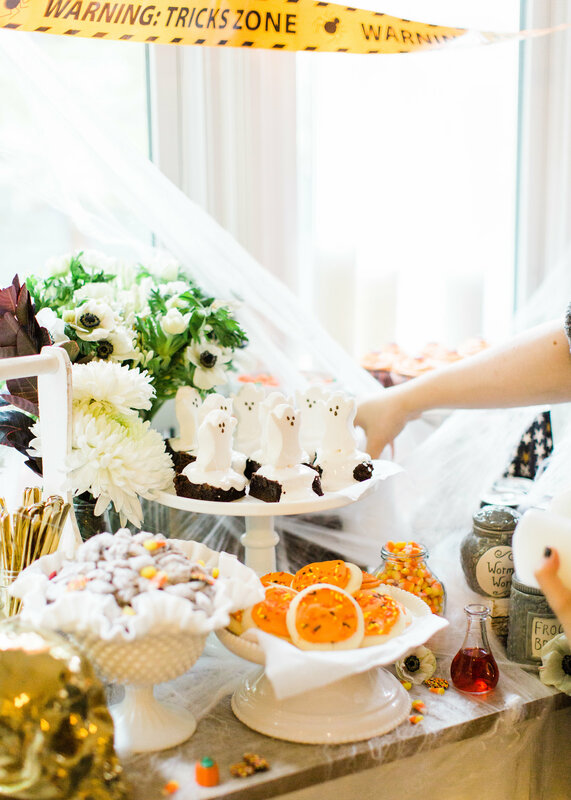 And yes, we’ve been eating leftover Halloween desserts for days. I’m not mad at it. 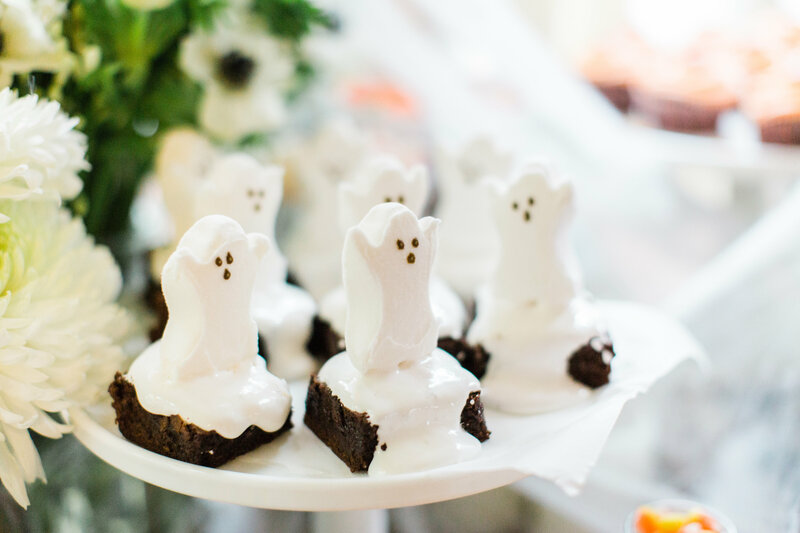 I made homemade spooky ghost brownies, crazy cake monster eyeball cupcakes, Halloween puppy chow, and store-bought (yay, Target!) 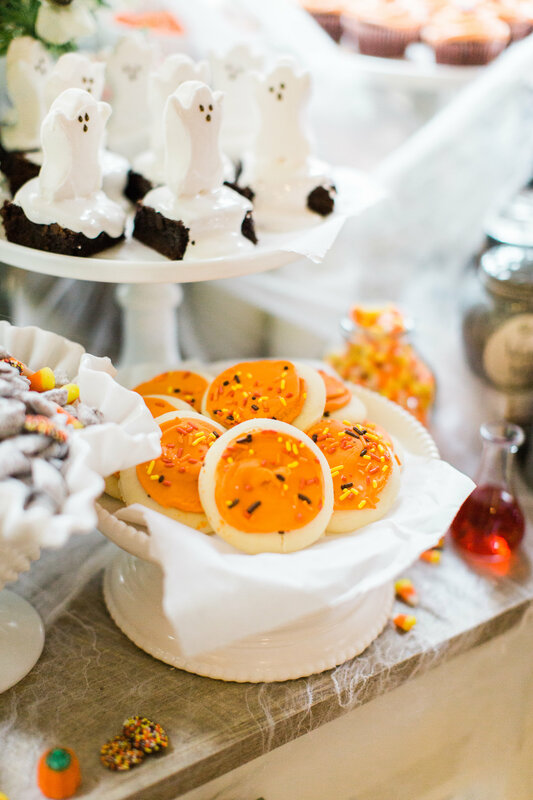 orange-frosted sugar cookies. And of course, don’t forget the candy. 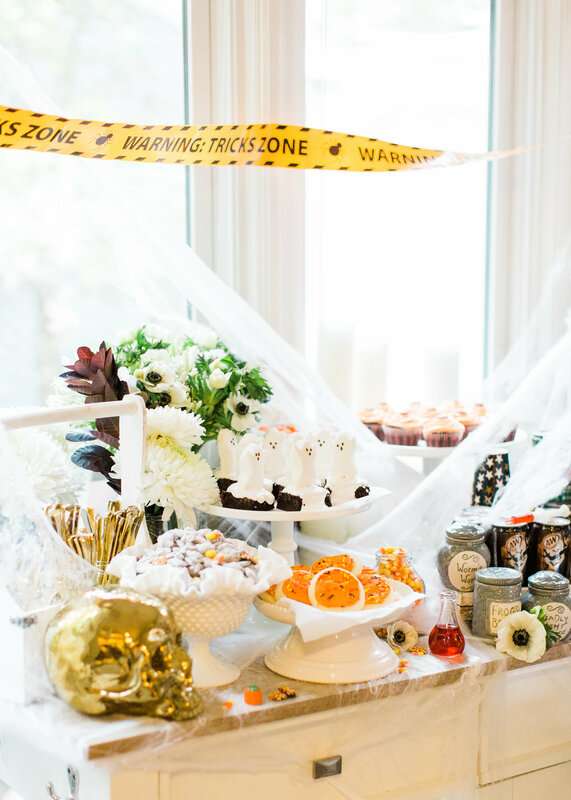 You can shop for everything you’ll need to put together your own fabulous and family-friendly “Eat, Sips, and Be Scary Halloween Party Station” at Target. Do you have any fun plans for Halloween this year? 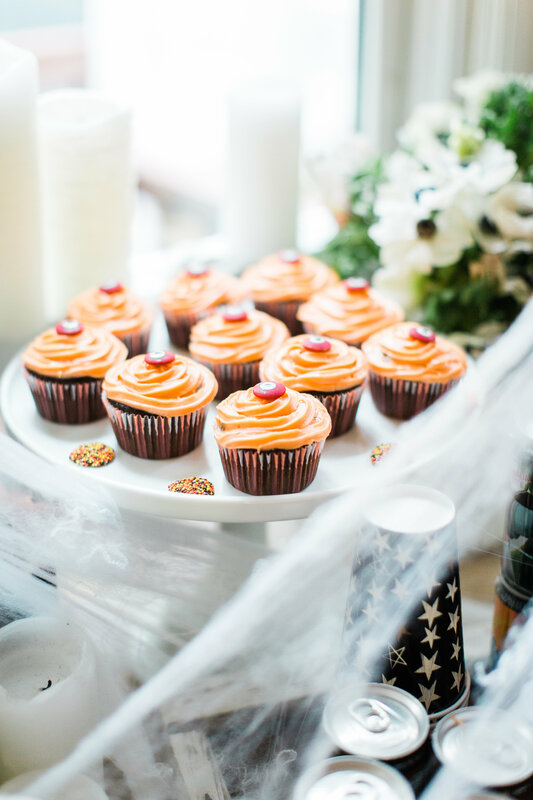 Looking for more spooky fun Halloween desserts? We can’t stop making these spooky ghost brownies, homemade twix bars, oreo macarons, s’mores cookie bars, and this pumpkin cake with fluffy chocolate frosting. Love this celebration? 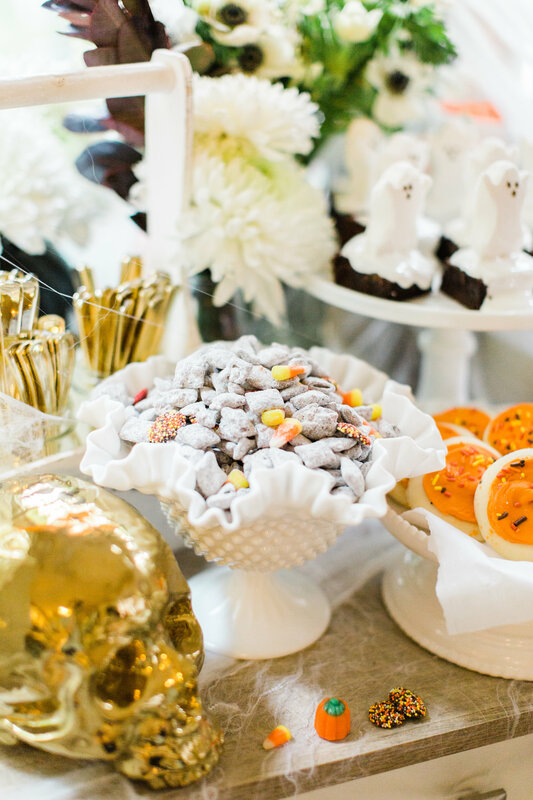 Check out all of our parties here; and if you put together your own “Eat, Sip, and Be Scary Halloween Party Station,” be sure to tag me on social media (@glitterinclexi) so I can live vicariously through all of your spooky fun parties! I mean…wow! I’m planning a Halloween party, and I think I know exactly what I’m going to do for it. I love how full it looks, and I love the idea of using smaller cans as well. I’m totally pinning this to remind me when it gets closer to time! Stop it this is SO fun! 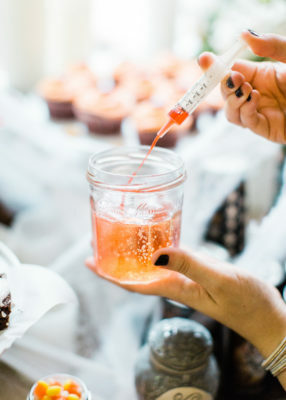 I love those ghost brownies, and what a fun shirley temple to have with the injections! Wow! 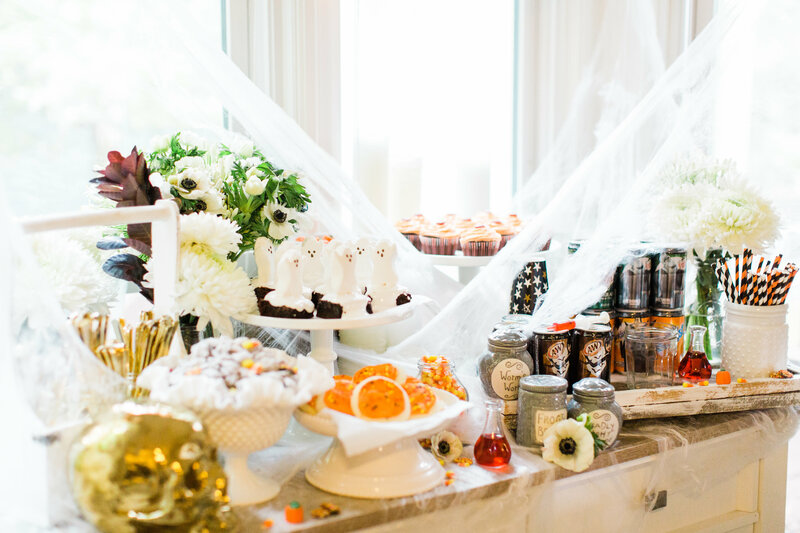 What a fantastic spread for a fun Halloween. Loving all your mixed containers and florals with spider webs!